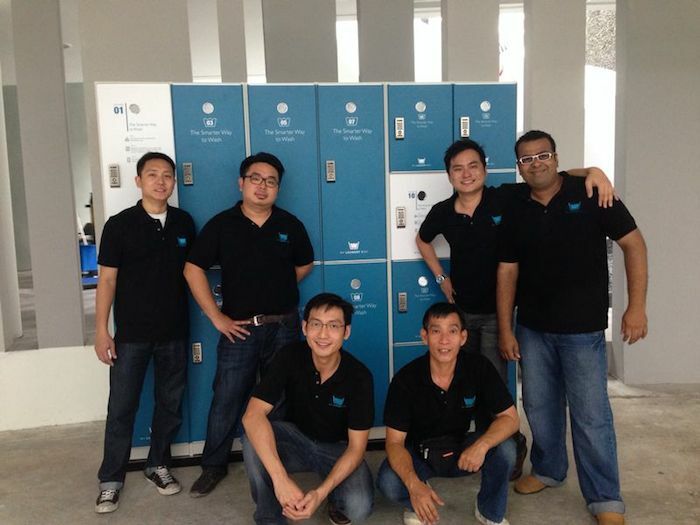 My Laundry Box Refreshes S'pore's Jaded Laundry Industry With Mobile Tech! Singapore is seeing a dramatic shift from traditional businesses towards the digital space. Many companies are rising to change to way how things are done by using technology and smartphones, and My Laundry Box is one of them. Founded by a quartet of young entrepreneurs in the early 30s with backgrounds in investment banking or trading, My Laundry Box is a new way of doing your laundry like never before. How does it work? 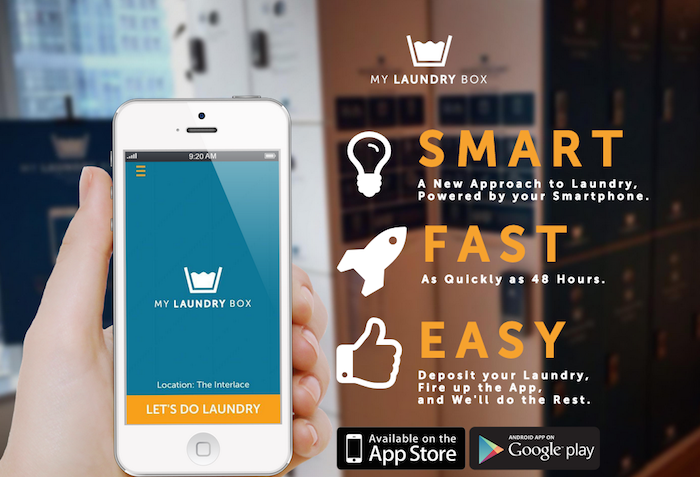 My Laundry Box is a smartphone-enabled laundry locker service: users download the app (iOS and Android), place their clothes in physical lockers installed in various locations around Singapore, and then send their laundry order through the app. The clothes would then be picked up and sent for laundry. It will be washed, ironed and returned to the same locker where users can then pick them up again in two to five days from where they left it. Each piece of laundry is also photographed before they are washed, and users can track the washing process through the app too. To further enhance the experience, users can also chat with a staff through the app. User will be notified when the laundry is ready for pick up. 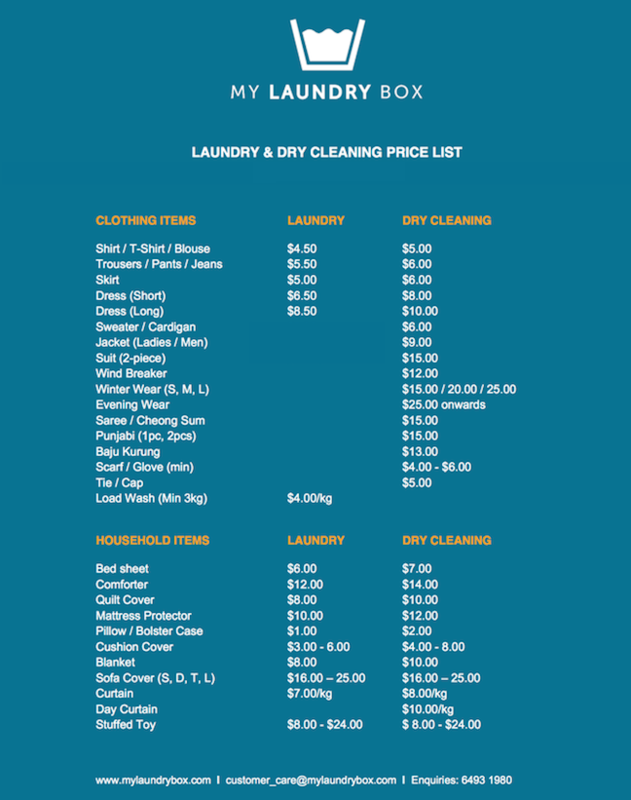 The idea of My Laundry Box had its roots in San Francisco when the team came across a similar laundry locker service there. While many great ideas took off by replicating what works in the east here, most of them failed because of the market wasn’t ready for it. The idea was first discussed about five years ago. However, they felt that the market was not ready for such a service as smartphone penetration rates were still very low. Around the middle of 2013, the team started discussing the concept more extensively and decided to pull the trigger in August 2013. My Laundry Box spoke to many laundry users to understand their pain points and what they wanted from a laundry service in Singapore. That translated to a round the clock on-demand laundry service, where users can easily leave and pick up their laundries at the time of their convenience. Once that has been identified, the team had to pitch this new concept to property managers and building owners to have the physical lockers installed at their properties. “We were fortunate that some property managers (JLL), offices (JP Morgan, Macquarie Group) and developers (CapitaLand) believed in the concept and gave us a shot, starting with a couple of condos and offices. Convincing the key players in the property sector was a major turning point. From there, we proved our ability to deliver on the concept and execute our service. Thereafter, it was much easier to enter new locations,” Derrick Wu, one of the four core members of My Laundry Box recalled. Given that it was a ‘first of its kind’ service, many customers initially did not fully understand the concept. Some even thought that the lockers had washing machines inside! There were also some that had safety concerns about leaving their clothes in a locker. 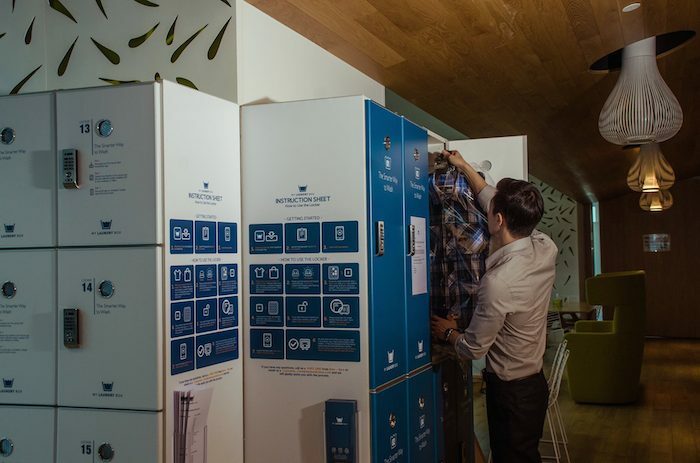 Currently, the physical lockers where users can leave and pick up their laundries are available at 13 locations in condominiums and offices around the Orchard Road, River Valley, and the Central Business District area. Slowly after the team tweaked the information procedures and made it easy for users to understand the concept, more users started using the service and became repeat customers. Today, with over 500 customers served, many became repeat customers, arguably because of the convenience of the service. Derrick told Vulcan Post that they are also getting laundry orders past midnight and in the early morning, which will never happen with a brick and mortar laundry shop. Naturally we had to ask the team, from a business standpoint, would My Laundry Box be able to disrupt and replace the traditional brick and mortar laundry shops? The team confidently assured us that they will. From a costing perspective, My Laundry Box eliminated the need for a physical shop front and front line service staff, and as a result of that, their operational costs are lower compared to brick and mortar laundries. These savings are passed on to customers, resulting in a 30-40% cheaper price point than premium laundries while offering the same quality of washing and dry cleaning. Prices start from SGD4 for shirts, blouses or T-shirts while jackets costs up to SGD8 for a cleaning service. While this is pricier than a neighbourhood laundromat, it is still 30-40% more affordable than other premium laundry services. Traditional laundromat/self service laundries as well as those neighbourhood laundry services thrive because of its location: customers can easily head over and drop their laundries for cleaning. 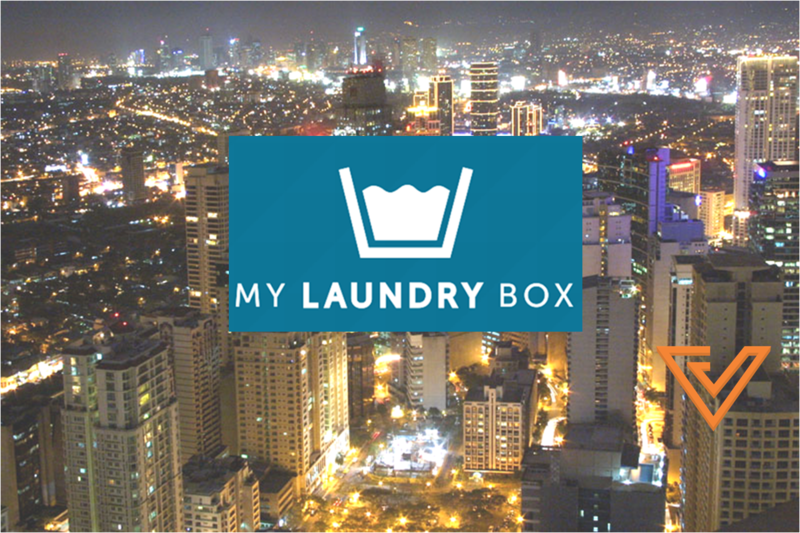 My Laundry Box wants to bring that convenience to customers staying in condominiums and offices right where the customers are. 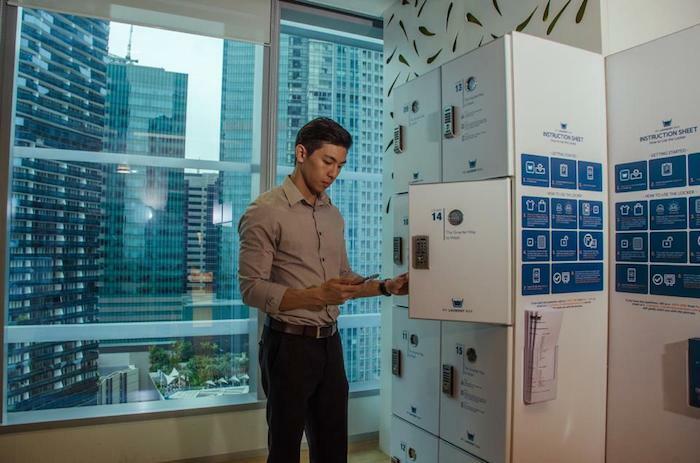 According to AsiaOne, Edmund Tan, 31, senior vice-president at Macquarie Singapore, uses the lockers at his office three to four times a month. “I work long hours, sometimes even during weekends, so it’s hard for me to run some of my errands during the normal operating times of retail outlets. The lockers are located at the office […] and save me time,” he told AsiaOne. Facebook user Ding Feng is another happy customer, who left a comment on My Laundry Box’s Facebook page that the service is “reliable and reasonably priced”. What about for those that do not have access to these physical locker services? The team is working on addressing that too: it will soon introduce an on-demand model, where anyone can request for a pick up service to pick and deliver the laundries to customers wherever they are. This will be rolled out to the public by early October. “As a company, we take a 360 degree approach to laundry services and therefore it has always been our intention to implement this service to complement our locker service. With both services, we are confident of being able to serve laundry users everywhere in Singapore,” My Laundry Box told Vulcan Post. As observers of the digital lifestyle space in Singapore (and Southeast Asia), what we have noticed is also the rise of on-demand services localized in Singapore. This is made popular by Uber, an on-demand private luxury chauffeur app. This is followed by the rise of on demand taxis or taxi booking apps, which are GrabTaxi and Easy Taxi. There’s also recently pivoted Grain, the on-demand healthy food app which delivers healthy food to your doorsteps. Of course, there’s also EasyVan, the on-demand delivery app which lets you request for a delivery van to your doorsteps. Looks like we are all spoilt: we can order food, taxi rides, pick-up services and now have laundry service at the tap of a button on our mobile phone. So, who needs laundry service now? We have discovered a few other similarly interesting services and we will be covering more on them, so do check back regularly on Vulcan Post!